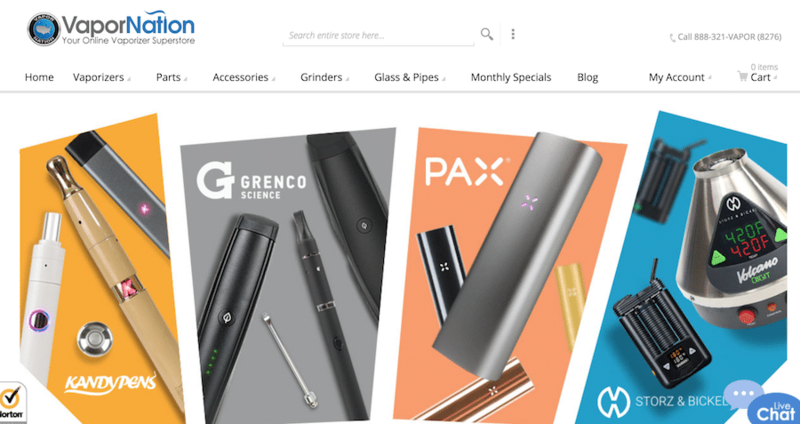 Tired of searching the best online vape stores? Spent too much time finding the right one? Check Out Our Top List Now. What Factors Should You Consider When Purchasing a Product? When researching for the best online vape shop products look at the reviews and how previous customers rated the product. You should be looking for quality ratings (stars) or positive reviews. If you’re wondering about a certain flavor, their shipping policy or if they do refunds, read the comments because you can find out a lot about the company through other customers. If a customer had a bad experience they will surely tell you about it. What will make you a repeat customer is a supplier that has a large selection of tanks, mods, accessories, juices and more. There are many good, reputable stores and they all have something good to offer. Look for a large selection, similar flavors, adjustable PG/VG ratio, and variety of sizes available. A store with a large selection is great, but if the item you want is never in stock it’s time to pick a new store. That said, you should have the option to be notified by email when the item is back in stock. What Are the Mistakes to Avoid While Shopping Products? It is always better to make an informed decision about products or services. Watch out for sites that don’t show their prices on the front page of results. There is no reason not to disclose all the information about an item to a potential customer. If they don’t it’s a red flag. It’s perfectly acceptable to visit several different sites to find what you want. Loyalty points make great discounts for money spent on previous shopping visits. Don’t feel like you have to buy all your vape gear at one store, they run out of stock from time to time and another store may have it if that one doesn’t so shop around. The License To Vape team has compiled a list of the best online vape stores in honor of awards like the Grammys, Emmys and Oscars. The list covers a wide array of the top vape websites online. 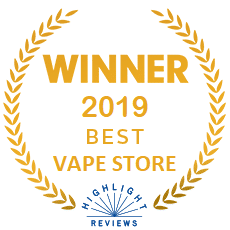 Included are online stores, community forums, sites with well-written reviews, sites for vaping advocacy and upcoming events, and sites that were just really freaking cool. Our #1 pick is Direct Vapor. They have an expansive inventory, 100% authentic products, and great prices. The following list includes three of our top favorite websites chosen for their great selection of inventory (best-sellers, top brands, etc. ), their customer service (communication, shipping, and returns), and their reputation for quality and consistency. Direct Vapor, Vapor Wild and eCig.com carry the top brands and always have the items you need in stock. These three are the highest rated when shopping for hardware and accessories. So, take a look at the list and make sure to visit as many of the sites as you can. One of the things we love most about vaping is the strong community. We hope this list helps you become a part of it! These guys launched in the summer of 2015 and I continue to love them in 2019. After purchasing a few tanks and juices, then speaking to a few customers, and based on their wide selection and consistent promotions, they’re still your best bet for vaping supplies and why they’re number 1! Really, you don’t have to go anywhere else! They carry all the highest rated brands and you can always find what you’re looking for in tanks, mods, e-liquid or accessories. Good-selling hardware brands: Uwell, Sigelei, Wismec, Sense, Innokin, Youde, Joyetech, Eleaf, Wotofo, Atmos, Geekvape, and etc. Great-selling e-liquids: Beard Vape Co, Charlie’s Chalk Dust, Chubby Gorilla, VaporFi, Naked 100, Cosmic Fog and more. This store has an incredibly large inventory and you could spend a couple hours just going over everything on the site. Site Speed can be a little slow sometimes when traffic is high but it’s no biggie. 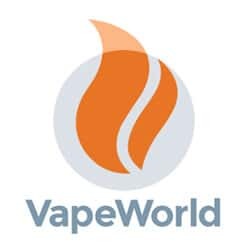 The founders of Vape Wild set out with a mission to make vaping available and affordable to all adults who wanted a smoke-free alternative to tobacco. Their focus is on quality products, good business ethics and excellent customer service. They have over 150 flavors of e-liquid from 25+ popular brands. The starting price for 10 mils is $2.99 for their in-house brand and if you find one you like a lot, you can get it in bulk sizes of 30 – 480 mils. Save money with larger sizes, coupon codes and “deals of the week”. Shipping is free on orders over $30 and International orders of $50 receive $10 off the cost of shipping. Returns are accepted within 7 days and exchanges within 90 days of purchase. Due to FDA regulations, returns of e-liquid are not permitted but if there is an error on your order customer service will work with you to make it right. Ecig.com is an online vapor store with a good selection of tanks, mods, rebuildables, eliquids, and accessories. They offer 100% authentic products and free shipping on orders of $40 or more. Check frequently for good prices on clearance items and you can get a 10% off coupon code if you sign up for their newsletter. Best-selling brands: Eleaf, Wismec, Smoktech, Aspire, Kanger, Sigelei, Tesla, Uwell and more. Best-selling e-liquids: Drip Co. Caramel Cone, Naked 100 Berry Belt, Dinner Lady Lemon Tart, and Bazooka Sour Straws Blue Raspberry. Navigation can be a little cumbersome at times, not the end of the world though. Shipping options are for USPS only, no option for Fedex or UPS. 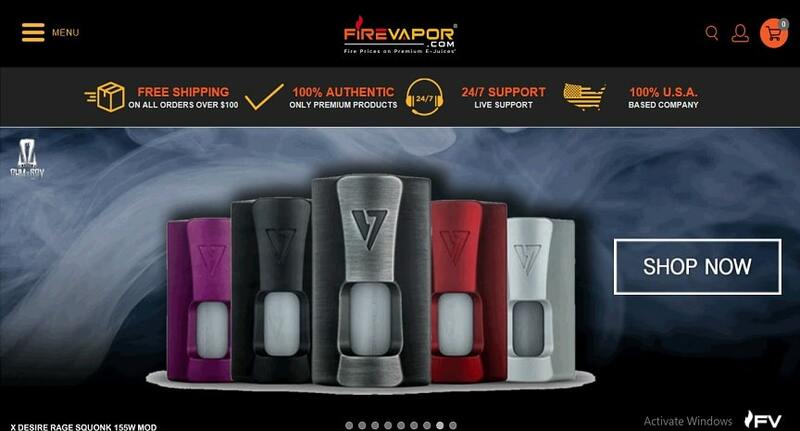 Fire Vapor is a website that carries just about anything you could be looking for. Their inventory is huge and all of their products are 100% authentic, no clones. From e-liquid pens to mods, they have it all. If you need some e-liquid, take your pick from over 60 premium juice brands. From Dinner Lady, The Milkman, Mad Hatter, FRYD, and more. All your favorite brands in one place. And the same goes for mods and equipment. Looking for a mod from GeekVape, Smok, Snow Wolf, Asmodeus, Sigelei, or Wismec? Take a look, we think you’ll find something you like here. This site was launched in the UK originally and after much success, opened for vapers in the US. 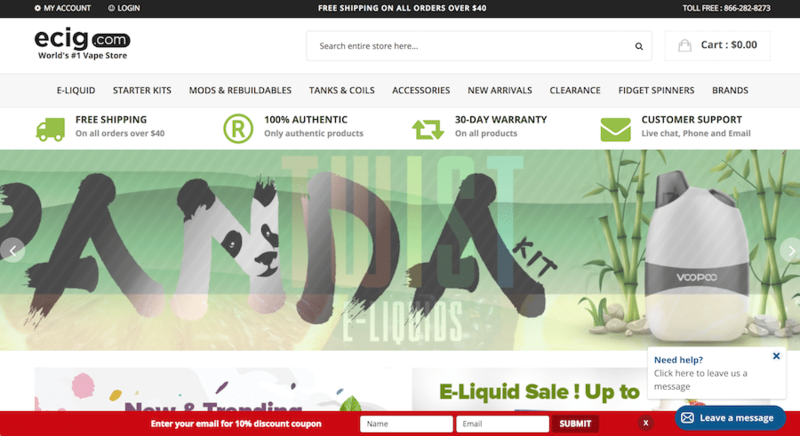 They carry an extensive inventory of tanks, mods, e-liquids, batteries, and accessories. Just about anything you could want, you’ll find it here. If you use a pod-style vaporizer or one with cartomizers you can get your refills here. It is a one-stop-shop for just about anything all in one place. Best-selling hardware brands: Vuse, Juul, Phix, V2, Wismec, Apollo, Eleaf, Joyetech, KandyPens, Kangertech, Limitless, and etc. Best-selling e-liquids: Naked 100, Mr. Salt-E, Charlie’s Chalk Dust, Space Jam, VaporFi, Beard Vape Co, Halo Evo, Mt. Baker Vapor, Fryd, Cuttwood, and Johnson’s Creek are just a few from a large list of e-liquid brands. Really, they are none. The site is very extensive and you could spend hours just browsing through products. Halo cigs are well-known for their starter kits for beginning and intermediate vapers, as well as their tanks and mods. But I think one of the things they have to offer is their line of e-liquid. They carry a little of everything but their juice line is #1. Favorites like Belgian Cocoa, Kringle’s Curse, Turkish Tobacco and Tribeca are just a few in a long line of flavors ranging from tobacco, menthol, fruit and gourmet flavors. Selling hardware brands: Aspire, Smok, Wismec, Vaporesso, and Halo. Best-selling e-liquid: Tribeca, Kringle’s Curse, Malibu, VooDoo, Belgian Cocoa, Ice Menthol, Sub Zero, Cool Mist, and Evo line of exotic flavors. Evo line: Purple Tundra, Spearmint, Berry Blast, Backwoods Blueberry. Halo is a great site for juice and starter kits. Accepts all major credit cards….no PayPal option. VapeWorld is a dry herb vaporizer paradise. They have quite a large selection of inventory with something for everyone. 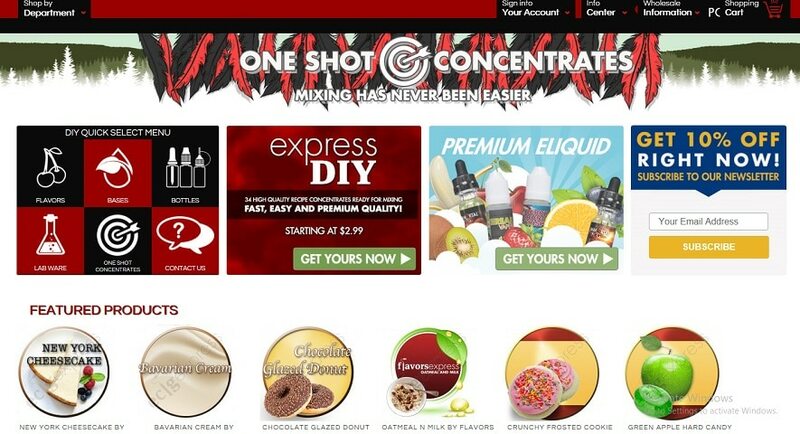 The site caters to vaporizers for e-liquid, dry herbs and concentrates as well as accessories and tools. You can search by brand or price and the inventory is pretty large. 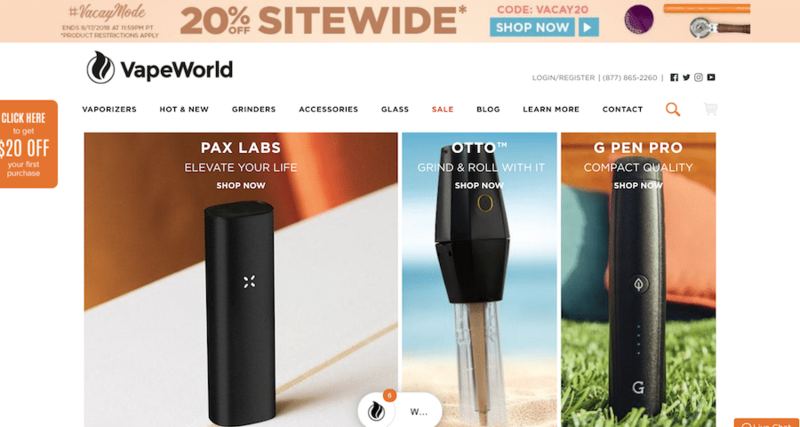 Best-selling hardware brands: DaVinci, Pax Labs, Storz and Bickel, Vape Inc, and Haze Technology. Additional products: infusers, bubblers, water pipes, grinders, rollers, trays, and gold paper. Accepts PayPal and Credit Cards. 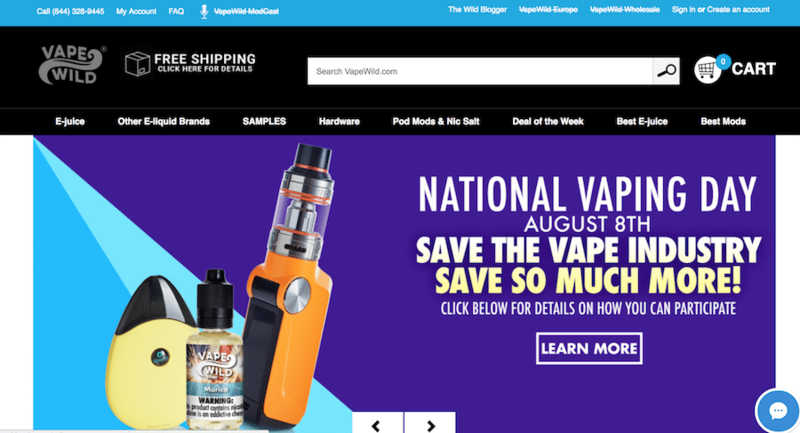 VaporFi has been around a long time and always delivers quality products, whether it is e-liquids or hardware, they have it in stock and available. They have a large selection of flavors from fruity cereal vapes to their signature Grand Reserve line. Each one is a sensation of flavors swirled in a sweet, creamy vapor. If you’re not sure what you like you can try out a sampler pack of (3) 10 mil bottles for $24.99. Their prices are good and shipping is free on all orders – with no minimum. If you are looking for deals on hardware check out their clearance section and as an added bonus, they’ll take $10 off your first order when you sign up for their newsletter. Check back often for great deals. To make room for new stock, a lot of really good products are put into clearance so you can get a great deal on a mod, tank or complete starter kit. South Beach Smoke offers a variety of starter kits to get you started vaping. Choose from brands such as Smok, Kanger, Vaporesso, and Eleaf. Their mini-cig starter kits (similar to the Blue, V2 and Green Smoke) come in Deluxe (2 batteries, 10 cartridges) Deluxe Plus (2 batteries, 10 cartridges), and the Deluxe Ultimate (3 batteries, 20 cartridges) and the Deluxe Couples Kit (4 batteries, 20 cartridges) and include USB charging cable, wall adapter and some have a car adapter as well. Cartridge refill packs are available in 15 for $39.99, 30 for $69.99, and 45 for $99.99 and come in a variety of flavors. For saving check out their clearance page as well as their home delivery service which comes with a lifetime warranty on all parts ordered as a member. EcigExpress is a website that carries all kinds of gear, but they have a large selection of pre-made e-liquids as well as nicotine liquid, PG/VG and flavor concentrates to mix your own custom e-liquids. You can also buy bottles, droppers and lab equipment. Flavoring brands: Capella, FlavourArt, LoRann, The Flavor Apprentice. Additional products: flavor concentrates, liquid nicotine base, PG/VG, syringes, childproof bottles, recipes, and mixing supplies. The site is easy to navigate and you can find what you’re looking for pretty quickly. The menu is easy to follow and if you have a question, Live Support is ready to help out. Some popular flavor concentrates are often out-of-stock. 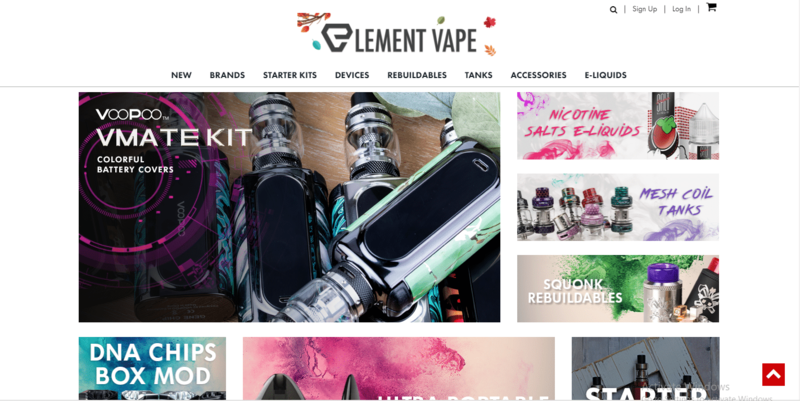 In business since 2013, Element Vape is a store with a large selection of inventory from the top names in vaping gear. Brands like Geekvape, Smoktech, Vaporesso, Kangertech, Wotofo, Limitless.co just to name a few. Likewise with e-liquids, if you’re a fan of The Milkman, Mad Hatter, Kilo, Charlie’s Chalk Dust, Skwezed, Cuttwood, and Cosmic Fog you’ll find a ton of flavors and new tastes to try. This shop has everything you need to set up a new vape including batteries, drip tips, and replacement coils. It’s a one-stop-shop and if you ever have a problem with an order their courteous, professional staff will work with you to resolve any issues quickly so you will receive your order on-time. Mt. Baker Vapor is based out of Mesa, Az and has been in business for a while. It was founded by James Thompson from Bellingham, WA. He and his business partner Jesse started out on a shoestring budget and built MBV into the store that it is. They have a large selection of e-liquids from top brands as well as their own signature line. You can custom design your mix by choosing the nicotine strength, PG/VG ratio, and bottle size. Sizes for their signature line run 30 ml for $7.99, 60 ml for $13.99, and 240 ml for $39.99. Prices are good and there are lots of flavors to choose from. You will also find supplies for coil building such as coiling wire, ceramic tweezers, cotton bacon, and wire snips. Health Cabin is a large supplier of electronic cigarettes, mods, tanks, e-liquids, and coil building supplies. 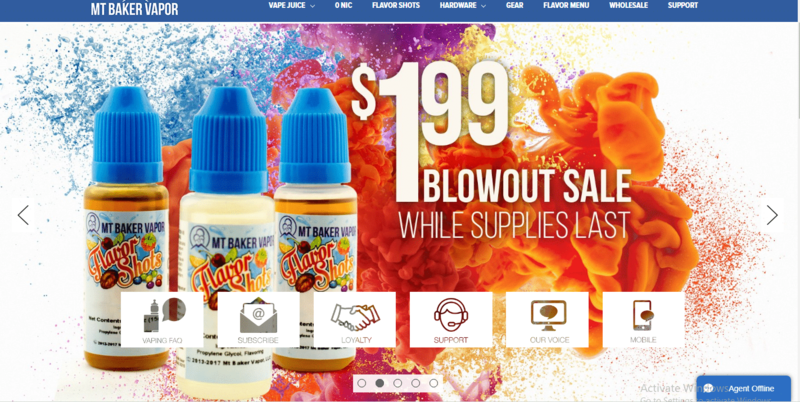 The site is easy to navigate and their inventory is “huge” focusing on vape gear mods and starter kits. You will be amazed at all the stuff to be found here. Drip tips, batteries, coiling wire, and just about anything else you can think of. The store has everything and offers free International shipping on orders of e-liquid over $50 and free shipping on hardware orders over $60. Check in often for clearance deals, coupon codes, and promos. Vapor Beast’s motto is “Keep it Beastly” and they certainly do. This is another shop with an extensive inventory of vape juice, vape gear, and accessories. They carry the top brands in hardware like Kangertech, Aspire, Vaporesso, Innokin, Geekvape and more. 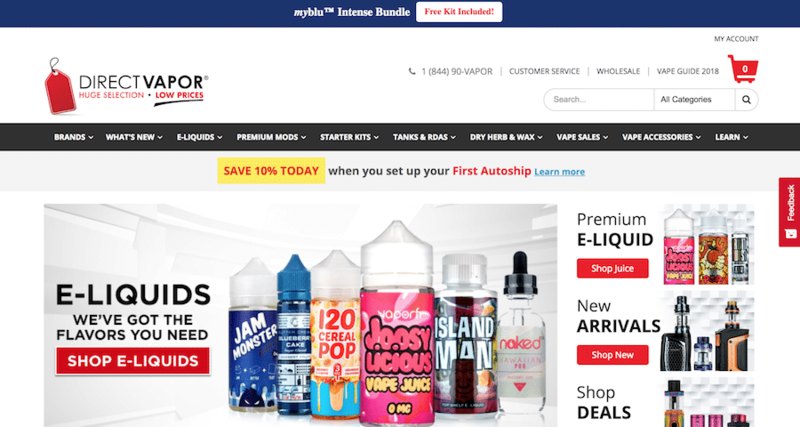 If you are looking for a new favorite flavor of e-liquid, they have a large selection of single flavors, combination flavors, and nicotine salt juices from a number of e-liquid makers. 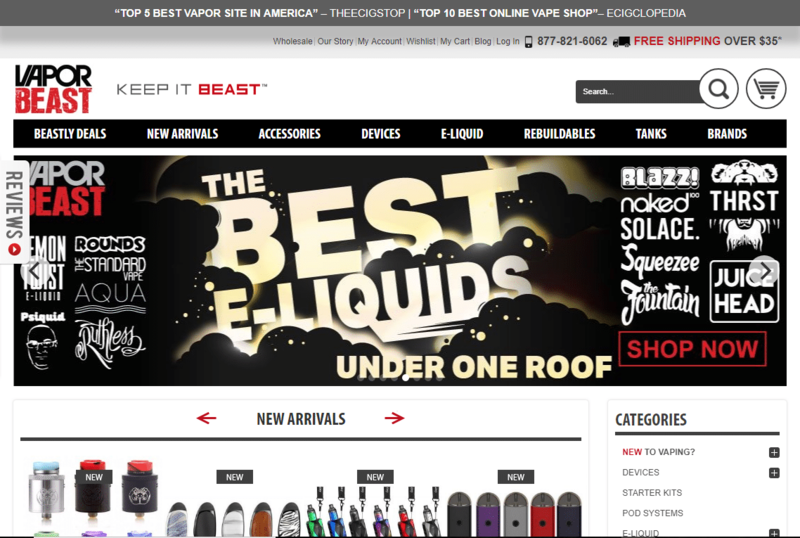 Check out the daily “Beastly Deals” for great deals on tanks, mods, pod systems, and starter kits. If you like RDAs and building your own coils check out their rebuildable section or coiling wire, cotton bacon, pre-made coils, batteries, and battery cases. These are some of the community forums and great sources of information for vapers in all stages. The members here are helpful and will try to answer any question and provide explanations whenever necessary. Some have only been vaping a few months and others (veteran vapers) a few years, but they all love to help new people and talk about vaping. Planet of the Vapes is a UK-based community site. They offer reviews, guides, and e-liquid recipes. There is a forum for tutorials and how-to information as well as discussions on general hardware topics. Good site with information about vaping. A community forum for all things vape-related. Large site for anyone looking for information, have questions or are just interested in looking around. Community: Since 2007 these guys have been developing a vaping community that will give you all the guidance you can possibly ask for, no matter your question or concern, you’ll find a host of friendly members here who’re willing to help you with advice, discussion, and recommendations. Community: An invaluable resource for vapers, newbie and pro…a great place to find helpful advice and assistance on any vaping topic. There’s also no shortage of friendly debates, it’s great to browse through the threads here, I’ve learned things I could never have learned anywhere else and this community proves just how dynamic and exciting the world of vaping has become. Vaping Underground is another large community forum for information, education and advocacy. Community: It won 1st place for Best Vape Forum in 2017 and 3rd place for Best Vape Network. 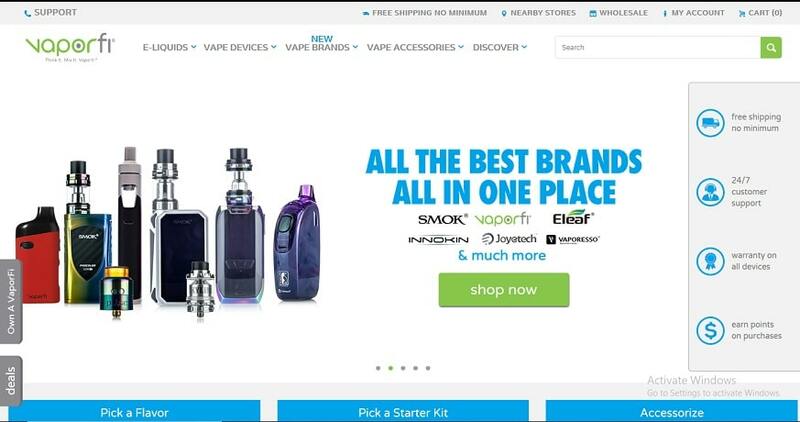 This is a large site for information about vape products. There are general discussions about vaping as well as advanced topics like mods and tanks and what type of e-liquid to buy. There is a section for new vapers just getting started as well as reviews and advocacy news. If you are into mixing your own juice you’ll find the recipes and tutorials invaluable.There is also a list of trusted vendors and links to local vape groups by state. Many tobacco smokers are being faced with vaping vs smoking decision. Electronic cigarettes, also known as e-cigarettes are devices with a heating element that produces aerosol for inhalation. They are being marketed as potential devices for smoking cessation and that they are a healthy alternative to tobacco smoking. Unlike the conventional cigarettes that are believed to have an average of 4000 harmful chemical compounds and can result in heart disease, e-cigarettes are considered to contain only glycerin, nicotine, flavoring, and propylene glycol. According to the health and social care department in the United Kingdom on a demonstration of the effect of vaping vs smoking, it indicated that smoking was very harmful compared to vaping. On its side, the public health England also experimented to show the effects of smoking and vaping for a month. This was in an attempt to control cigarette smoking in the country. In the experiment, it was observed that one month of smoking traditional cigarettes resulted in more damage and tar accumulation as compared to vaping. According to Professor John Newton, director of health improvement at the public health England regrets that false fears concerning health effects may be hindering cigarette user who would wish to turn to electronic cigarettes to stop smoking the regular cigarettes. He backs up the experiment saying it is a clear indication of the devastating harms caused by cigarette smoking and should be an eye-opener for people to consider vaping as its risks are limited. Vaping is becoming popular among young people, and it seems to have found its way into high schools. According to a study published in 2018 by the Centres for Disease Control and Prevention on the vaping vs smoking debate, approximately 3.6 million middle and high school students in the United States had used electronic cigarettes in the month leading to the survey. However, a survey conducted by the United States National Institute on Drug Abuse shows that 87% of the teens were not aware that the liquid contained nicotine. Sixty-six percent believed that the e-cigarettes only contained flavoring and about 31 percent of those who used the e-cigarettes started smoking six months before the survey. The PHE experiment acknowledged that electronic cigarettes also have their harmful side but were a fraction of the risks associated with tobacco products. The agency also said that vaping is a good means of helping regular smokers to quit as those who use it to quit are less likely to start smoking again. According to the CDC, many adults who use vaping as a way of quitting smoking end up using both of them. Some companies claim that vaping can be used to quit smoking. A study published in a lucrative medical journal in 2014 states that many smokers believe that they are into vaping to help them quit smoking. However, 6-12 months later after the first interview, they are still smoking cigarettes tobacco. E-cigarettes are a new technology. It has only been around since 2003. Recently it has been marketed as the best alternative to conventional cigarettes. They are sold in a variety of forms including vape pens, and vape mods. The scientists are conducting long-term studies to establish the long term effects of vaping. Community: Consumer Advocates for Smoke-Free Alternatives Association (CASAA) is a non-profit organization dedicated to educating and informing the public on issues that affect vapers as well as the general public. Their goal is to ensure the availability of alternatives to smoking and increasing awareness about vapor products and the benefits of switching from cigarettes to vapor products. Their “Call to Action” section provides current information on pending issues such as states trying to restrict access to vapor products and provides a form to express your concern to your local government if your state has pending laws on the books. Become a member to be notified when something new is published. Good source for news and information. Join CASAA and add your voice and opinions to those of other vapers who want to keep vaping accessible to adults over the age of 18. Stay informed and gets alerts when new legislation is expected. Write your city government and tell them how you feel about vaping and how it has helped you. Add your name to petitions to stop vape bans, and etc. Learn about advocacy and how each one of us can make a difference. That pretty much sums up our kudos list of the best online vape store and resource sites. We’ve no doubt that with this list at your disposal, you’re bound to find the gear and guidance you’ve been looking for. Happy browsing and, more importantly, keep on keeping on…. vaping, that is.